The second annual Baby Tattooville is fast approaching (October 3-5). This unique event, billed as a “limited edition retreat for artists & collectors,” has grown on us and Arrested Motion will be on hand to cover the event. The idea was for 50 paying attendees to spend the weekend participating in scheduled activities (panels, workshops, etc) and to socialize with the eventâ€™s artists. This year’s featured artists are Ana Bagayan, Glenn Barr, Dave Cooper, Bob Dob, Joe Ledbetter, Brandi Milne, Daniel Peacock, Shag, Amy Sol and Michael Whelan. Some of last years artists such as Luke Chueh and Jeff Soto should be returning as well. Last years artists with their collaborative painting. 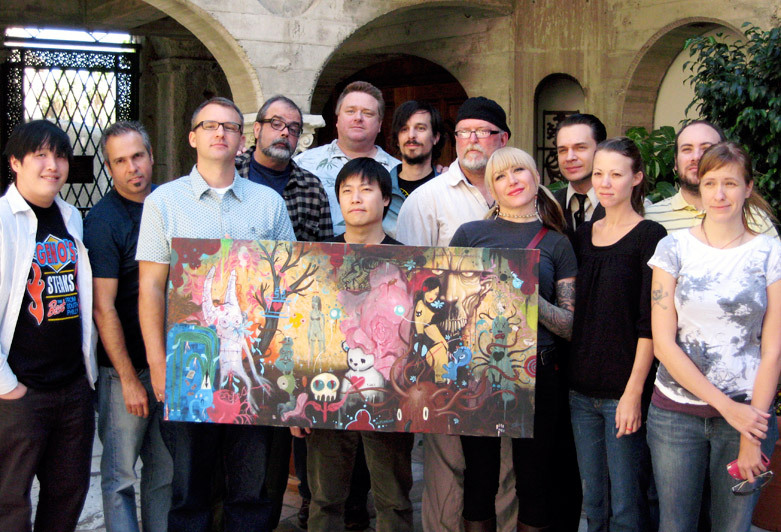 Gary Baseman, Tim Biskup, Luke Chueh, Gris Grimly, James Jean, Frank Kozik, Lola, Tara McPherson, Ragnar, Jeffery Scott (1019), Jeff Soto and Amanda Visell. 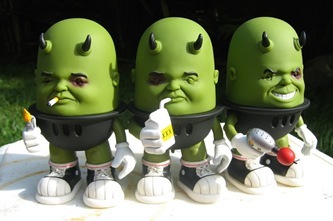 According to the creator of the event Bob Self (from Baby Tattoo Books), he first came up with the concept at SDCC (comic-con). He had installed a lounge area there for artists to relax and really gotten some good feedback as well enjoyed the interactions in that special setting. That was when he decided to create an event where artists and collectors/fans could mingle in a semi-informal environment. There are stillÂ 9 spots left for this years event for those who interested. The cost is $2000 but this includes two nights stay at the historic Mission Inn Hotel and Spa in Riverside, CA. There will also be a Friday night party, multiple informative panels and presentations, a Saturday night merchandise event and a Sunday brunch buffet. Another consideration that adds value to the package is the special limited edition items that can only be obtained at this event. Guests can bring a companion with them for an additional $500 and split the total to help bring down costs.Â Here are some of the items that we know will be available according to vinylpulse. 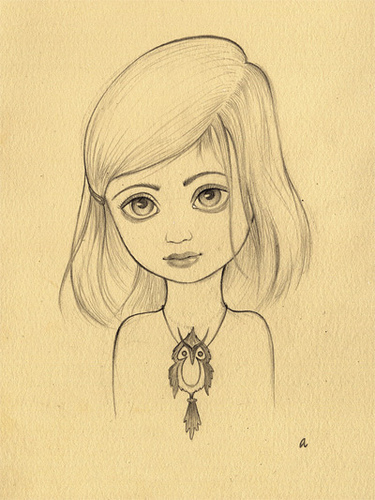 Original Drawing by Ana Bagayan. 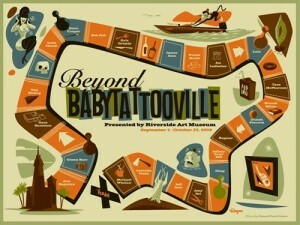 Categories: Art, Low Brow & Pop Surrealism, Previews, Shows & Events. 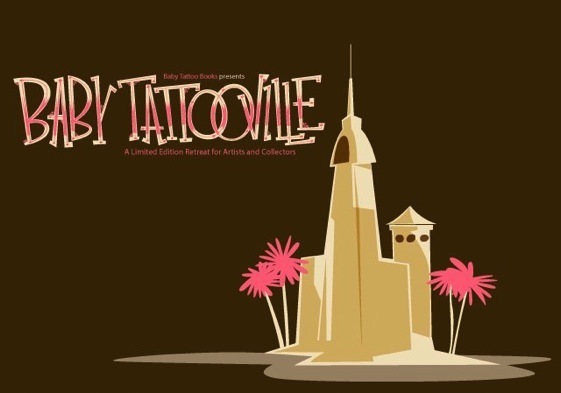 Tags: Amy Sol, Ana Bagayan, Baby Tattooville, Bob Dob, Brandi Milne, Daniel Peacock, Dave Cooper, Glenn Barr, Jeff Soto, Joe Ledbetter, Luke Chueh, Michael Whelan, Shag, Shows & Events.